Communicating with my non-verbal kid. I’ve changed things up with Parker’s communication invitations lately. They aren’t the the perfectly set up displays I once created. Instead I have a basket of toys that change every few days. They stay the way Parker last left them, awaiting his return and the next time we spend communicating. Parker telling me via the iPad which car he wants to drive down the ramp. I’ve been taking Parker’s cue and when he picks up a toy I join him instead of expecting him to always join me. We may only work for a few minutes at a time, but we do it several times a day. Red was his car color of choice. He used that index finger like a pro to tap that picture on his iPad! Parker knows when he goes over to his basket of toys that I’ll join him in his play, taking his lead, and then incorporating his iPad. For some reason I think this makes Parker feel he has control over our ‘conversation sessions.’ That’s okay, cause in reality Parker has very little control over so much in his life. I’m all for anything that encourages this kid to tell me what he’s thinking. The Stress. It is Ginormous. This little ditty makes me wish we lived down the street from you. Looks so much like my “sessions” with Noah. I totally know what you mean about wanting him to know he has control. It is hard for me to battle with Noah in trying to stimulate his vocalizations. I wish I could get it through to him that it’s in his own best interests to speak. But when he does, oh, it takes my breath away. I think Parker having more control over our communication sessions is helping. 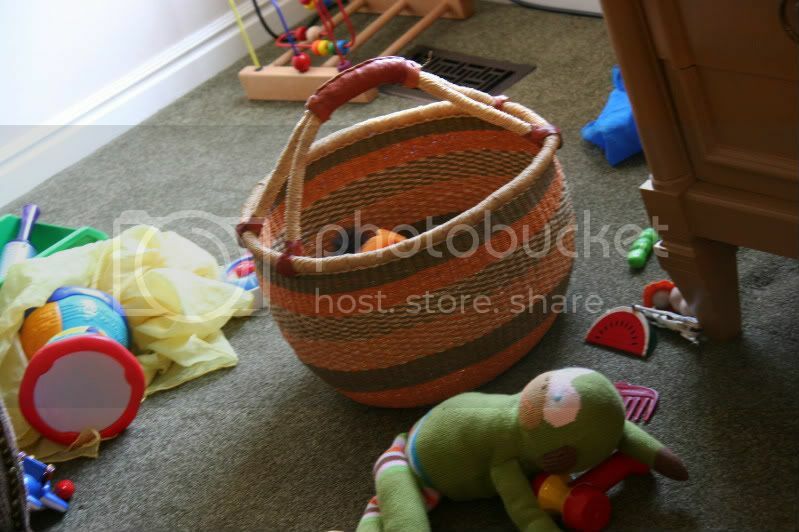 It’s funny, just leaving that basket of toys out drives me nuts sometimes, but I’m working on it. heh! Ooh, what’s the app you’re using there? You’re working so hard and he has a voice – fantastic! 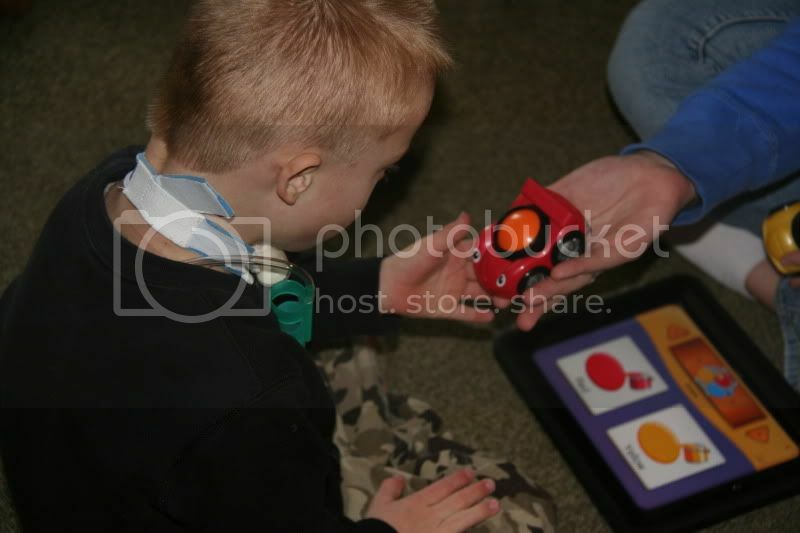 It is called My First AAC. I LOVE IT! You can find it on iTunes. The price was only $25.00 compared to the over a hundred+ many of the others cost. The pictures actually move showing the sign when a little finger taps on it. Thank you so much, I’ll definitely take a look. We’re really enjoying ‘special words’ at the moment. Looks a little bit like the ‘floortime’ philosophy – brilliant! 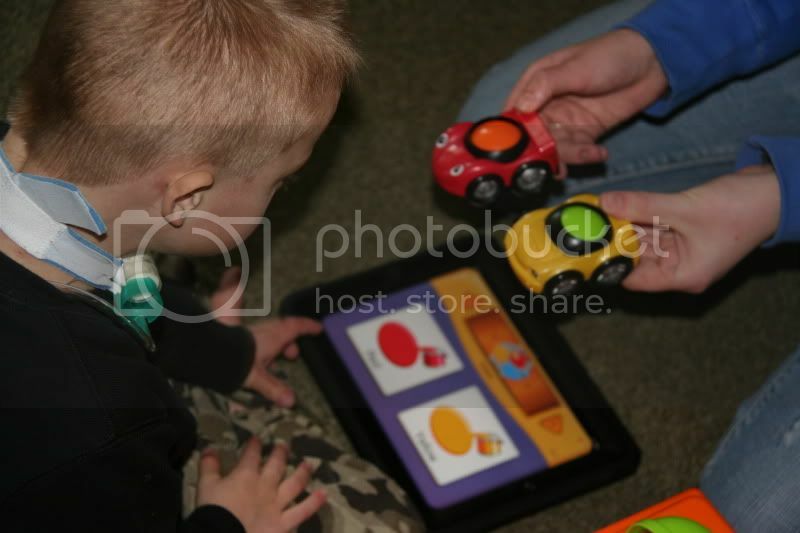 I just love hearing stories about how tech stuff, like iPads, is used with special needs kids. wow…this is very cool. As an SLP, I love love love this approach. Communicative intent is the most important part of communication. Child initiative and interests are the way to go. If it’s okay, can I reference this story and your blog in workshops?